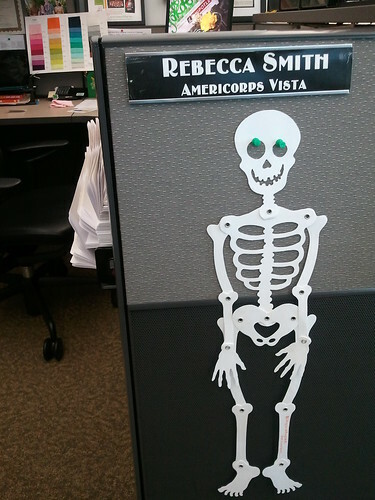 My friend sent me this cute skeleton card earlier this week and it became an office decoration! My kitten is finally doing better! 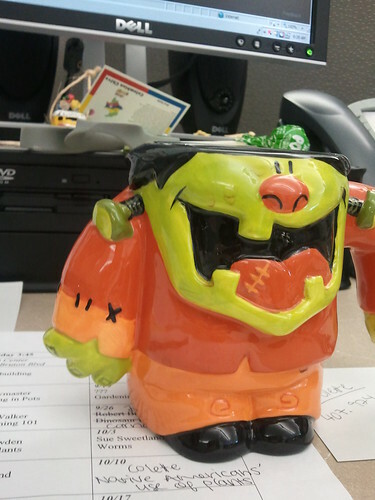 Now we just need to get him to gain some weight. 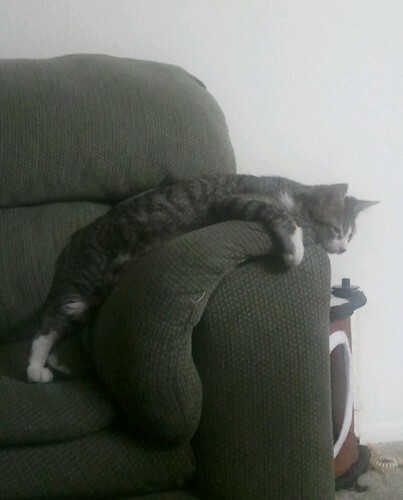 And to stop being so tired that he can't even get all the way up on the arm of the couch before he falls asleep. There's a huge employee-maintained garden behind my office and so we routinely get fresh produce. 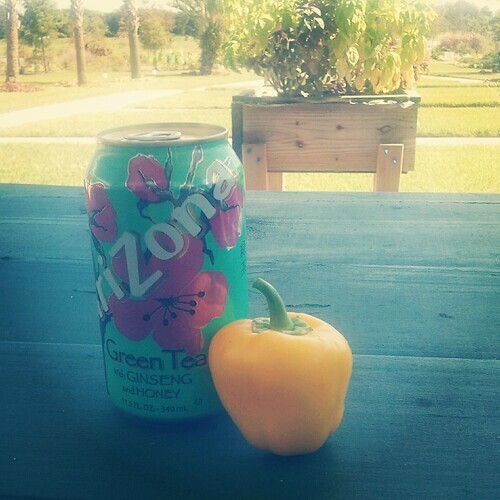 This is our first pepper harvest! I took the cutest one, of course. We made grass heads [aka chia pets] in my classes this week. 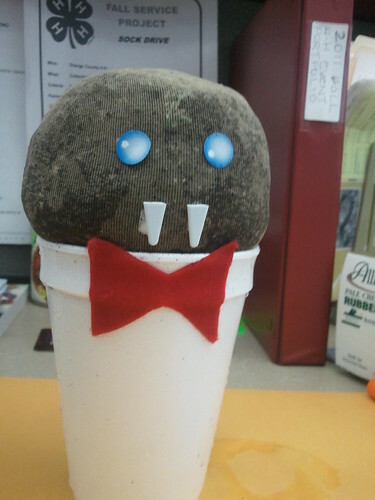 I can't wait til my little vampire grows some grass hair! Received an Art Gallery Pure Elements card from Pat Bravo herself! She was kind enough to send it to help me choose a solid for a project that won't be revealed until next summer! 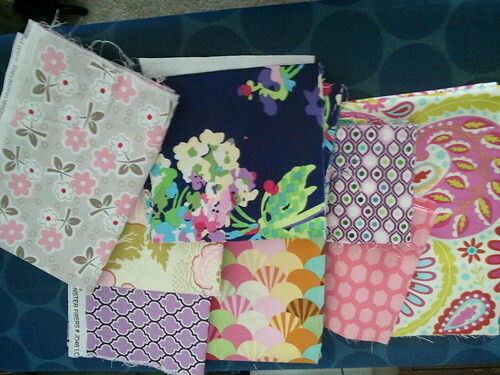 A Hawthorne Threads scrap pack! 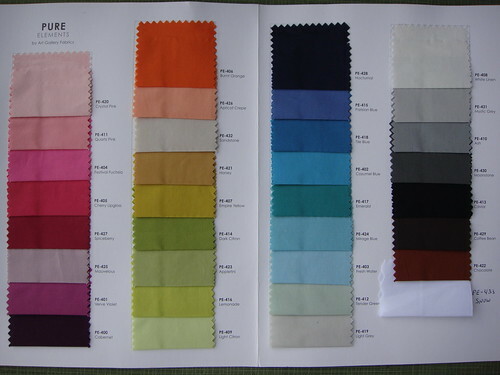 I would have never in a million years chosen any of these fabrics on my own, but they're good to have for more variety in my projects. 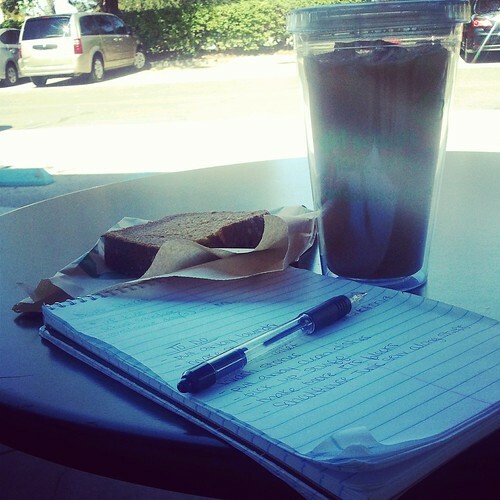 Sitting at Starbucks on a Saturday morning, making my to-do list and enjoying iced coffee in my favorite Girl Scout double-walled tumbler cup.